The ever-delightful Jonathan Richman takes the stage at SPACE in Evanston tonight with his frequent collaborator Tommy Larkins. Richman has been playing guitar most of his life and emerged on the music scene as leading man for the Modern Lovers, also doing the soundtrack for There's Something About Mary. Chicago Bike Week wraps up today with the Bike to Work Rally. Bikers are rewarded for their commute with a free breakfast, live music, and valet bike parking on their arrival in Daley Plaza this morning. And I thought I had a lifeless prom date. 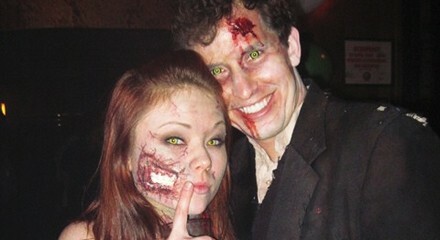 Tonight's Zombie Prom is an exclusive, undead only party for those dressed as zombies. There will be live music, prizes for attire, and a zombie king and queen will be crowned. Host Bottom Lounge will provide food so the guests don't feast on each other.